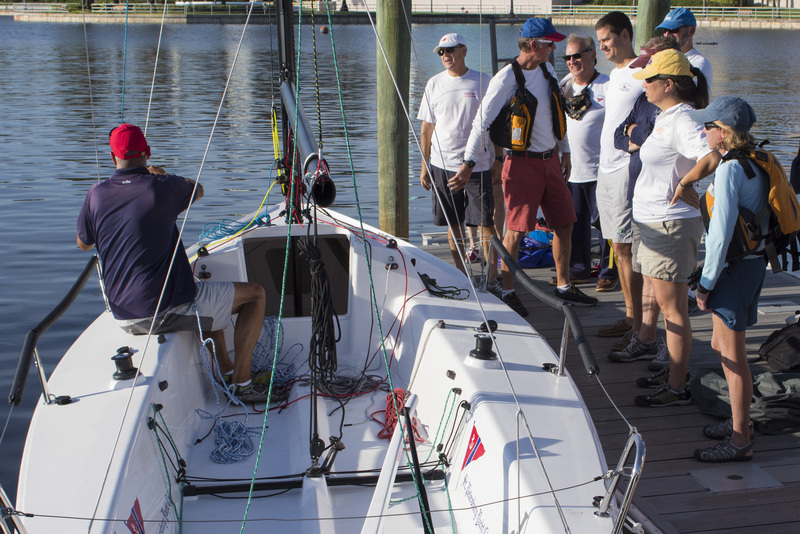 Ideal for candidates interested in getting a taste of sailing on Tampa Bay. Sailing Demonstrations take place the second Sunday of every month and include a 30-minute sail with an instructor. This introductory sailing course is designed to teach basic sailing techniques necessary to allow you to comfortably enjoy sailing our fleet of Ideal 18’s in fair weather. Adaptive boats and equipment available upon request. 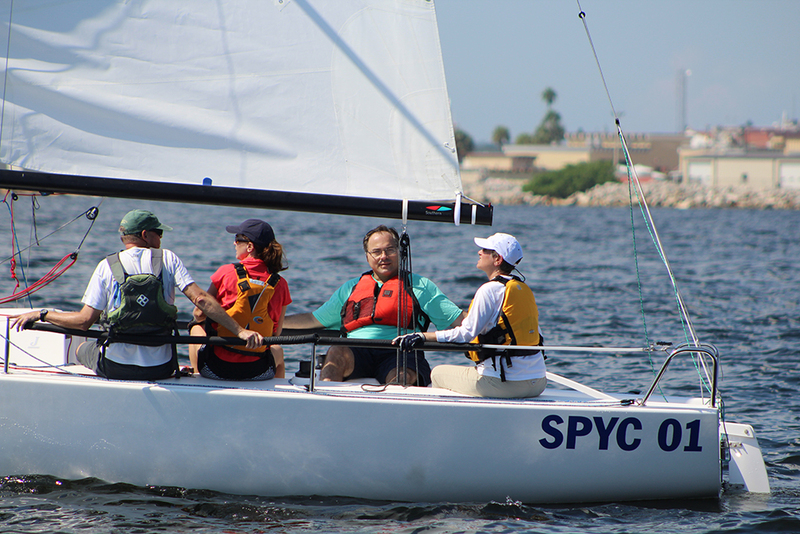 The Intermediate Adult Sailing course is the next step in our curriculum after the basic Learn to Sail course. It provides additional instruction on sail trim, boathandling, and other advanced techniques. 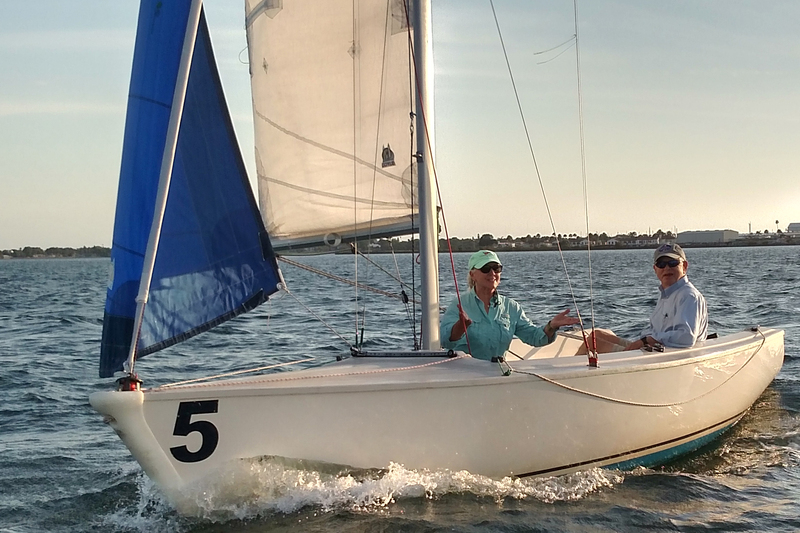 These classes are designed for members who have a generous amount of sailing experience, a decent feel for boat handling, and would like to start racing our fleet of Ideal 18’s. 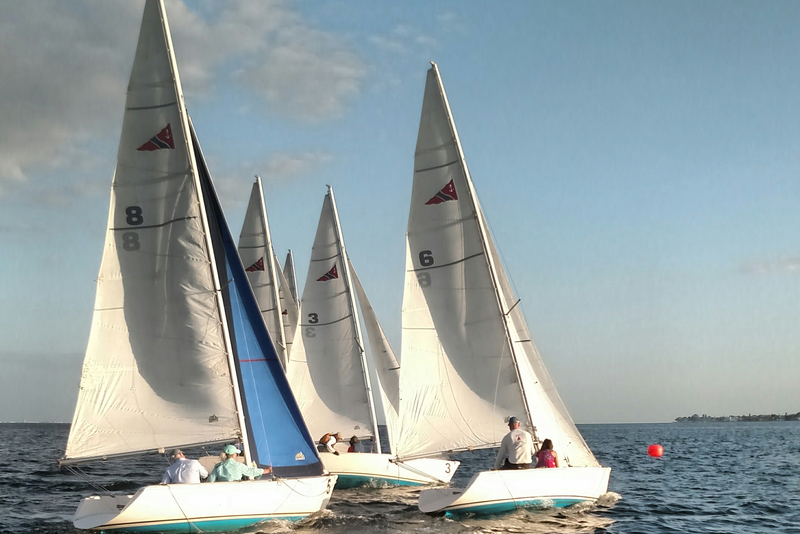 These classes are ideal for members who have generous amounts of sailing experience. 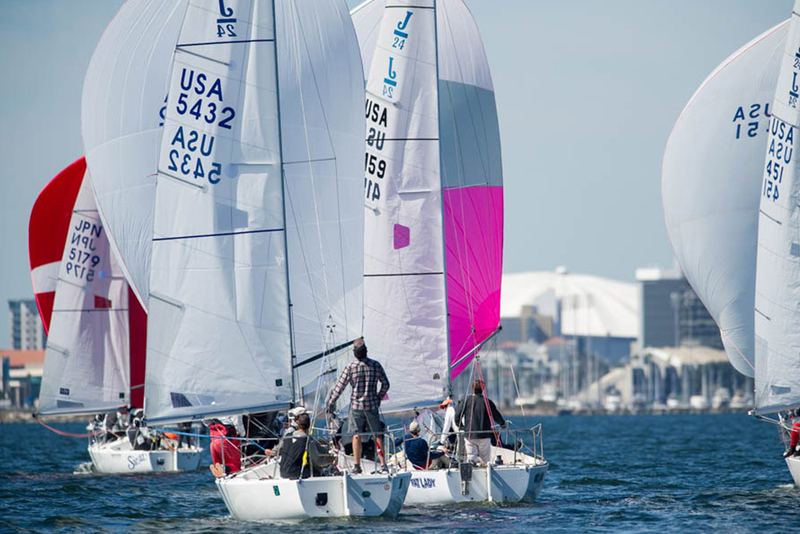 Students will be introduced to rigging the spinnaker, hoists, douses, and how to incorporate these procedures into your racing tactics. 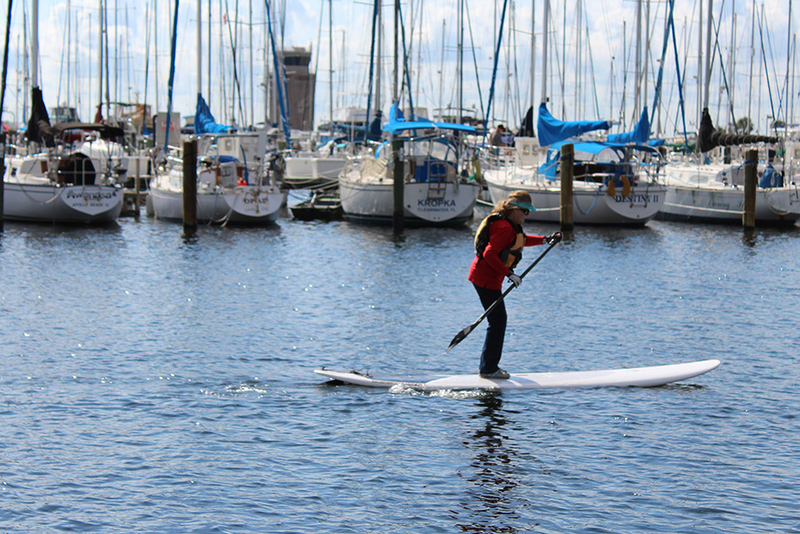 This introductory lesson teaches novice paddlers how to stand up and efficiently paddle on a board while getting a scenic view of the area surrounding downtown.